You know the story – times are tough, spring fever has hit, and you want to know what to do on the cheap, both outdoors and indoors. Well, just see whatcha think about this! Phoenix Art Museum- This museum, largest in the Southwest, features an extensive collection of American, European, Asian, Latin American, Contemporary and Western art. 1625 N. Central Avenue Phoenix, AZ 85004. (602) 257-1222. Admission is free every Tuesday from 3:00 p.m. to 9:00 p.m. & the Frist Friday of every month 6:00 p.m. to 10:00 p.m. There is also free movie day on Sundays @ at 1:00p.m. Visit there website at www.phxart.org for information on free lectures, workshops and Family Fun Day. Regular Hours: Tues-Sun 10 a.m. – 5 p.m.
Shemer Art Center–The Shemer Art Center and Museum is a historical site operated since 1984 by the City of Phoenix Parks and Recreation Department. It is a family-oriented art education center and museum, offering artists and community members a unique and inviting atmosphere to enjoy and learn about the visual arts. Shemer offers a variety of fine art classes for all ages, as well as a monthly professional development lecture series for artists and art lovers. Shemer’s galleries host changing exhibitions by contemporary Arizona artists. Admission is free. Hours: Tuesday: 10 a.m. – 9 p.m. Wed. – Friday: 10 a.m. – 5 p.m., Saturday: 10 a.m. – 1 p.m. Sunday & Monday Closed. Heard Museum– The internationally acclaimed Heard Museum is one of the best places to experience the myriad cultures and art of Native Americans of the Southwest. With a commanding presence on Central Avenue in downtown Phoenix, the museum hosts nearly 250,000 visitors a year and ” provides Indian artists with a wonderful home that will excite and inspire visitors from around the world.” according to Arizona Highways, October 1999. The museum’s 10 spacious exhibit galleries and beautiful outdoor courtyards feature outstanding traditional and contemporary Native American art. Free Admission the second Sunday of every month. HOURS: Open Daily 9:30 a.m. to 5 p.m.
First Fridays– Open studios tours are a good way to experience art and artists. Every first Friday evening of each month you can take a free self-guided tour of downtown Phoenix galleries, studios and art spaces. It’s called First Friday. First Friday is organized by Artlink, a nonprofit organization”…dedicated to bringing together artists, the public, and businesses for a greater understanding, appreciation, and promotion of the arts and the development of a strong and vital downtown Phoenix art community”. 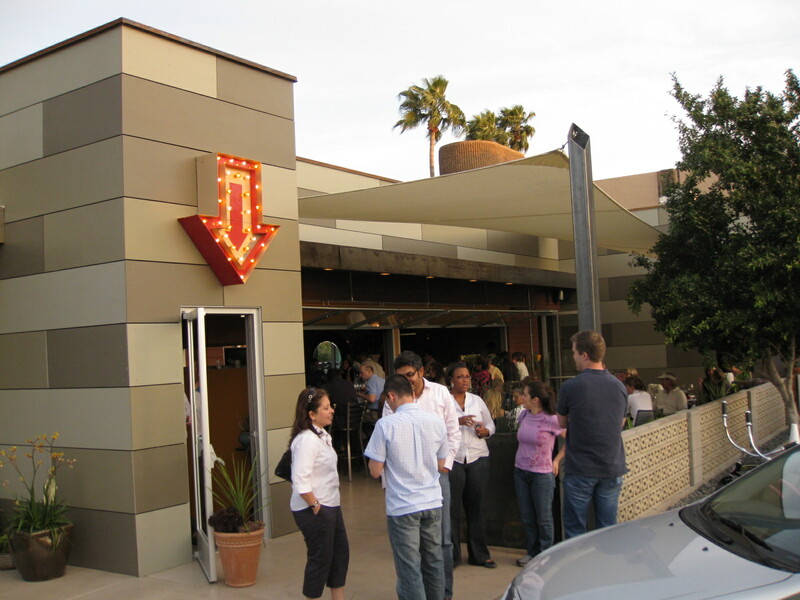 The First Friday art walk in downtown Phoenix is held on the first Friday of every month, from 6 p.m. to 10 p.m. The Arizona Historical Society– Arizona’s oldest cultural organization, founded by the territorial legislature on Nov. 7, 1864 and charged with preserving Arizona history for the present and future. Hours: Tues. – Sat. 10 a.m. – 4 p.m.; Sun. noon – 4 p.m. Free admission the first Saturday of the month. Scottsdale Museum of Comteporary Art– Founded in 1999, the Scottsdale Museum of Contemporary Art (SMoCA) is the only museum in Arizona devoted to the art, architecture and design of our time. Global in its focus, SMoCA is a unique and vital cultural resource for the Southwest, serving local audiences as well as visitors from all over the United States and abroad. Designed by award-winning architect Will Bruder, SMoCA’s building has five galleries for showcasing changing exhibitions and works from the Museum’s growing permanent collection. SMoCA presents a variety of educational programs and special events for adults and families, including lectures, docent-led tours, workshops and classes. The Store @ SMoCA offers classic design objects and furnishings, contemporary jewelry, art and architecture books and imaginative gifts. Closed Mondays Tuesday, Wednesday 10:00 am – 5:00 pm Free Thursday 10:00 am – 8:00 pm (free admission on Thursdays) Friday, Saturday 10:00 am – 5:00 pm Sunday 12:00 noon – 5:00 pm. Downtown Phoenix Public Market– The Downtown Phoenix Public Market features Arizona-grown foods, flowers, fresh baked bread, local arts and crafts, tasty meals and live music, in the heart of the city. The Market is open from Wednesday 4p.m. – 8p.m., Saturday 8 a.m.–12 p.m., May–September; 8 a.m.–1 p.m. October–April and is located on Central Avenue and McKinley. Wells Fargo History Museum– Featuring a Western art gallery depicting the history of Wells Fargo in Arizona with an authentic 1868 stagecoach, gold collection and original artifacts. Real hands on experiences include the use of a telegraph, candlestick phone and a check protector where you may cut a check. Take a ride on our replica of a stagecoach. Participate in a Treasure hunt and win a prize! Tours available with advance notice. M-F 9am-5pm, Free admission. Closed bank holidays. St. Mary’s Basilica – Phoenix’s oldest Catholic Church, dedicated in 1915 and designated America’s 32nd basilica in 1985, is noted for its Munich-style stained glass and Mission Revival exterior. Daily mass 12:05pm; Saturday Vigil Mass 5pm; Sunday Masses 9am & 11am. Rectory hours T-F 9am-4pm. Basilica open M-F 10am-2pm. Arizona Capitol Museum- 1700 W. Washington St. (602) 716-2000. Artifacts & documents from early development, political memorabilia, Guided tours. The Arizona Capitol Museum brings history to life every day through exhibitions, special events, and tours. More than 20 exhibits tell Arizona’s story from territorial days to the present. Park free at Wesley Bolin Plaza east of 17th Avenue and top off your day with a visit to the award winning museum store. Open Monday – Friday 9am – 4pm. Closed Saturdays. www.lib.az.us/museum Free Admission. At over 16,000 acres, South Mountain Park/Preserve often is referred to as the largest municipal park in the country. With so much space it’s no wonder that thousands of tourists and locals visit the park each year. The area boasts 51 miles of primary trails for horseback riding, hiking and mountain biking for all ability levels skills. See flora and fauna distinct to the Sonoran Desert, or drive to the top for breathe-taking views of the Greater Phoenix skyline. E. McDonald Drive at Tatum Blvd. Climb the city’s most famous landmark, the mountain resembling a crouching dromedary, for superb views of the Valley. Or visit Echo Canyon Recreation Area, where sheer red cliffs and hiking paths attract outdoor enthusiasts. More than 1,200-acres of desert hills and rugged mountains feature a golf course, museums, picnic areas, fishing lagoons (urban fishing license required), hiking trails and the famous peek-through Hole-in-the-Rock landmark. Visitors to Papago Park can make it a day excursion by visiting the nearby Phoenix Zoo, Desert Botanical Garden, or shops on Mill Ave.
Splash Playground at Tempe Beach Park– Cox Splash Playground at Tempe Beach Park lets children cool off and have fun at Tempe Town Lake. This one-acre park teaches how a drop of rain ends up either in the ocean or becomes part of the city water supply. Open mid-April – Sept, 10 a.m. to 8 p.m. Free admission. Also remember about the Culture Pass – your favorite attractions free! 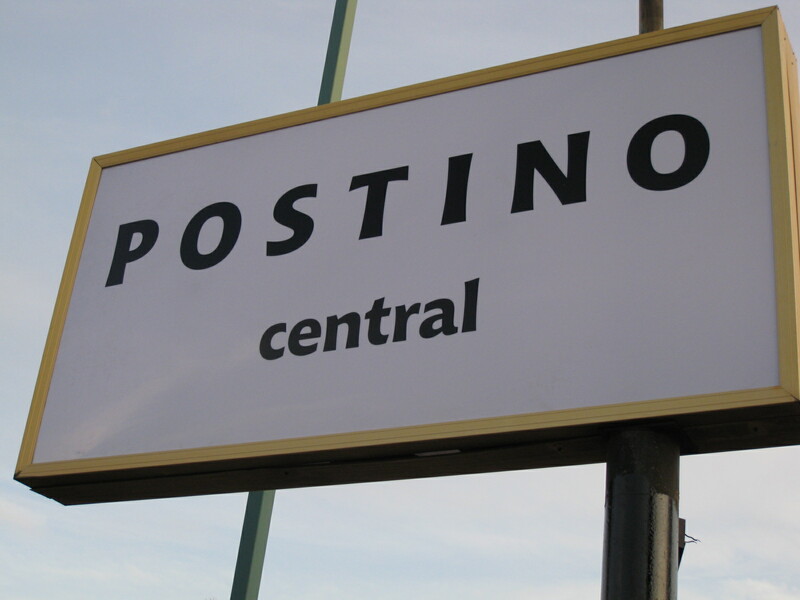 Well how very timely of our Hot Sheet to have just posted about the oh-so-loved Postino (original location) the same week that Postino central open. 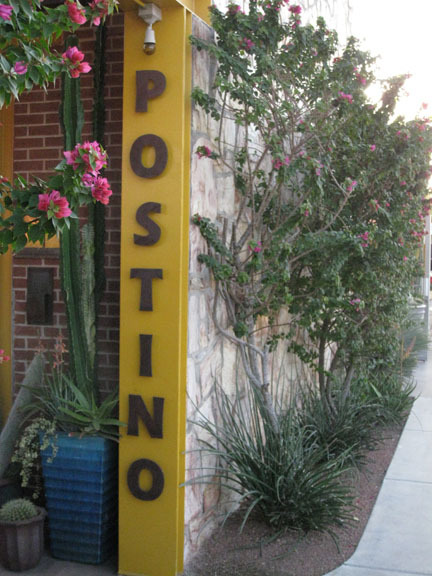 They were very creative with the name; Postino central is actually on Central Ave. (read: accessible by light rail) and serves the fresh-out-of-downtown crowd as well as the sprawling-ranch-home neighbors. With being the second night it was open, I thought there would be kinks to work out, but no – the staff is from the original Postino, the same great menu has made it’s way over (remember those bruschettas? ), the flowers, the candles, it’s all here. With accented patio space. The indoor/outdoor bar, reaching onto the bigger patio, are happy considerations they made to us thin-blooded Phoenicians. 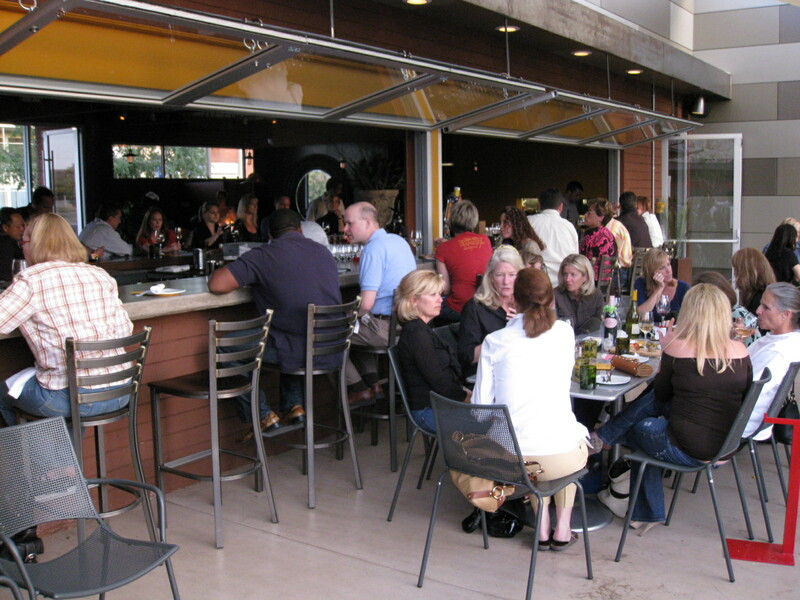 We love our patios. The night I was there, even with all thebuzz about it, there was only a ten minute wait but it was always busy. Give it a go, if you’re in the neighborhood or not, at least to say Cheers and Welcome to the Hood! 5144 N. Central Ave., just north of Camelback. It’s that time again – time to start planning your weekend! Below we’ve listed some of the events we’re attending, and with the great weather, you should get out! All info below is from their websites, so call or click for more details. Have fun! Comedian writer/filmmakers Greg Benson and Kim Evey have turned their irreverent and politically incorrect mini-episodes into some of the internet’s most popular films. From the spoof Japanese kid’s show “Gorgeous Tiny Chicken Machine” to “Greg Hits Hollywood”, the duo will screen videos and answer questions about their successful use of New Media tools. Ear Candy, a local charity creating music programs for children, is helping support the Phoenix Fringe Festival with a Special Event at the Museum. They’ll have the MidFirst Bank Mobile Fundraising Van out collecting change to support Ear Candy music programs. Cash bar. Suggested donation of $5. March 26, 2009Phoenix Symphony Percussion and Brass Ensemble10:00 AM – 10:45 AMJoin us in the Museum’s expansive Atrium as Ben Rous, Condutor and Brass and Percussion members of the Phoenix Symphony showcase a rip-roaring program of the loudest and most rhythmic music possible! This rousing program is full of information, excitement, and an impressive percussion setup. Meet the instruments in the brass and percussion families and introduce your child to the joys of orchesteral music! The program is free with paid admission into the Museum. Biltmore Fashion Park invites you to enjoy Movies in the Park, a complimentary film series, starting Friday, March 6 through Friday, April 24 at 7:30 p.m. in the Center Lawn. Featuring classic films and American favorites, Movies in the Park is free and open to the public and is a great way to spend a Friday evening under the stars. Norm MacDonald is best known for his role on Saturday Night Live for five seasons. See him live at Tempe Improv. More than a few years ago, a big store appeared in malls everywhere and wow-ed everyone with their brilliant use of neutrals. The clean lines, the glorious use of white paint, the wood grain – all trademarks of what we’ve come to know as “Pottery Barn style.” If you don’t mind me saying so, while I love the neutrals, I’m a color person first and foremost. Secondly, the neutral thing is great when you can add personal touches of character. And it’s hard to get personal touches in a big, national store. Enter The Willows. 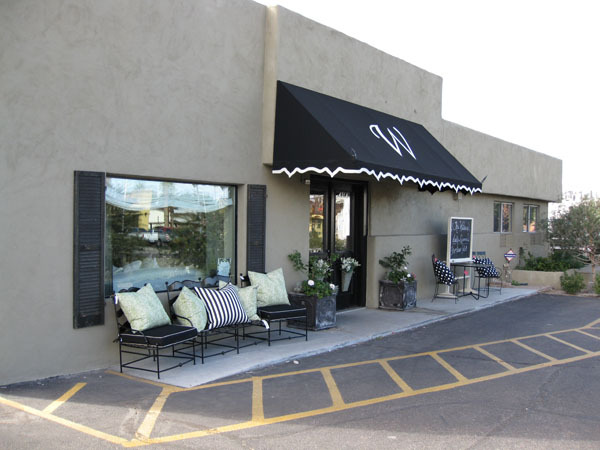 A fabulous asset to Phoenix shopping, located on 38th Street and Indian School, does the neutral-with-character thing right. Everything is interesting, and still all easy on the eye. They make burlap lampshades glamorous, chandeliers casual and dishes fun. (Let’s be clear – not doing dishes fun, but dishes look fun.) Anyway, it’s so cozy you want to throw yourself on the antique bedframes with the big down pillows, but resist the urge to rest – there is much to see. Including, the new Olive Annie store located within The Willows. Clothes, accessories, hair doo-dads, for ladies, babies and home. They actually have these really interesting wrap-outfits that look confusing but are very easy to put on. If you are looking for that little something for your patio, your home or your wardrobe – The Willows will have it. Try not to buy everything up, either – save something for me! So, I have a new favorite breakfast spot — well, sort of, because I love Matt’s Big Breakfast too. 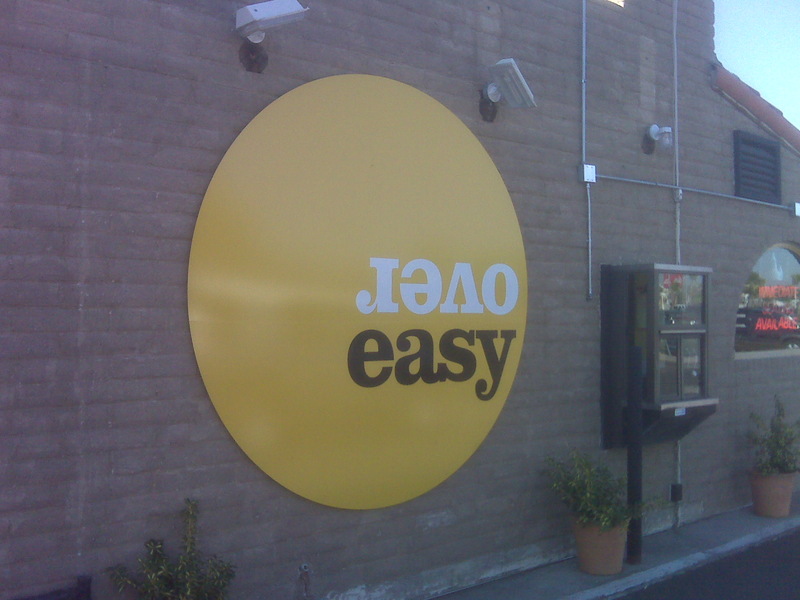 It’s called Over Easy and it’s right in central Phoenix at Indian School and 40th Street. It’s only open for breakfast (until 11:30am) so they’re really able to do it right. What a simple concept! 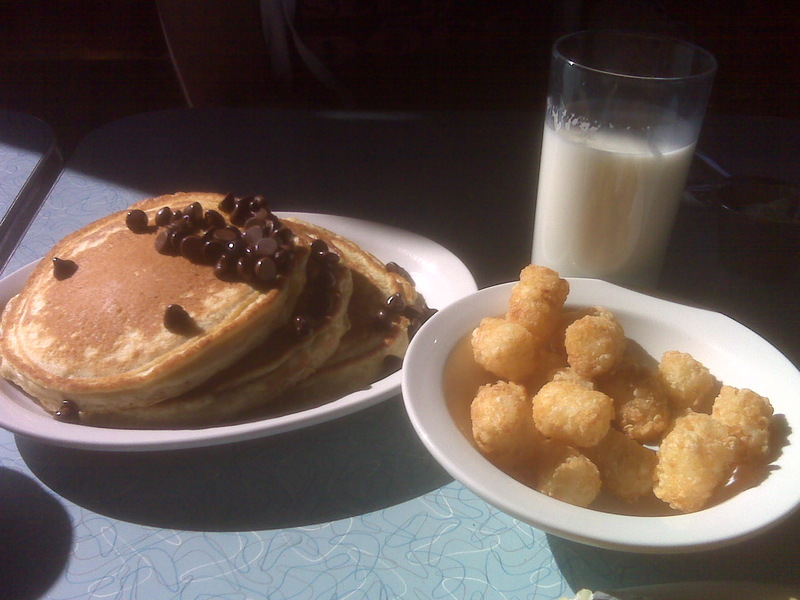 I selected the chocolate chip pancakes and I just have one word, y-u-m-m-y. What’s better than mixing chocoate with breakfast? Nothing, as far as I’m concerned. I couldn’t resist the tater tots when I noticed them on the menu so I added those to my order as well. And let me just say, tater tots for breakfast is genius. My only complaint, if you can call it one, was that I could have used a bigger plate to manuver around the pancakes. But, I managed to work around it. My husband went the more traditional route with eggs, toast, bacon and hashbrowns and was equally as pleased. Over Easy uses quality ingredients, including cage-free eggs, so not only did we have a fantastic breakfast, we could feel good about what we ate. Kind of. I’m guessing the fresh ingredients still had their fair share of calories. Oh well, it was totally worth it. We ate here during the week, a little late in the morning, so no waiting. I hear it’s quite a popular spot on the weekends but based on my experience, worth the wait. This is exactly my relationship with Postino. 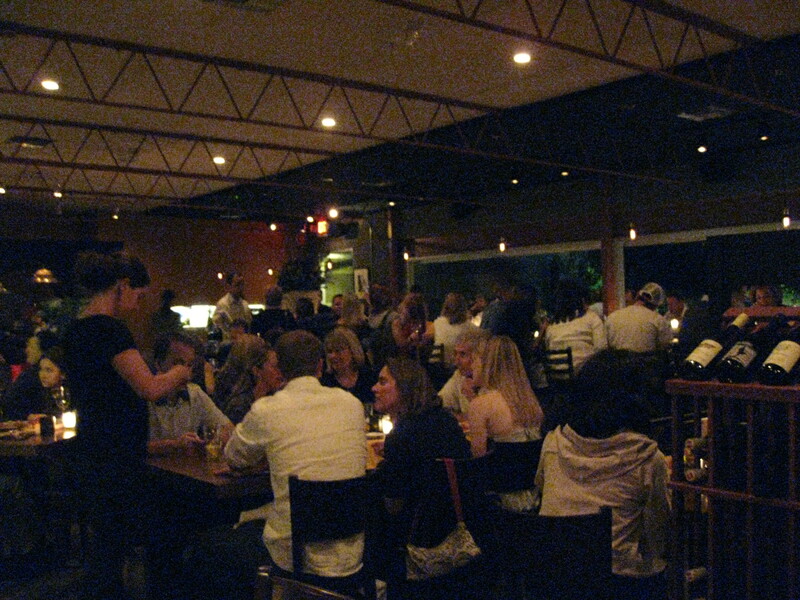 This is one of those places where even on a week day, it feels like a weekend at Postino. Relaxed, hip, casual, exciting – all the interesting notes that make up this converted old post office (hence the name) in the Arcadia district of Phoenix. In the beginning, Postino was just a wine bar with a few snacks. Always an open couch, I wondered if it would survive, so I kept going because I felt like I was “giving back” (I know – since when does a wine bar count as charity work? All in the sake of eating local). But once it took hold, Postino was off and running. After all, it was the first installment of what would be come the “DeMarco corner.” Craig and Kris DeMarco humbly opened Postino, then Le Grande Orange next door (“LGO” us locals would say), then Chelsea’s Kitchen across the street, then Radio Milano next to that (and keep your eyes peeled for upcoming blog posts). Postino is still my favorite gem on the corner of 40th and Campbell. 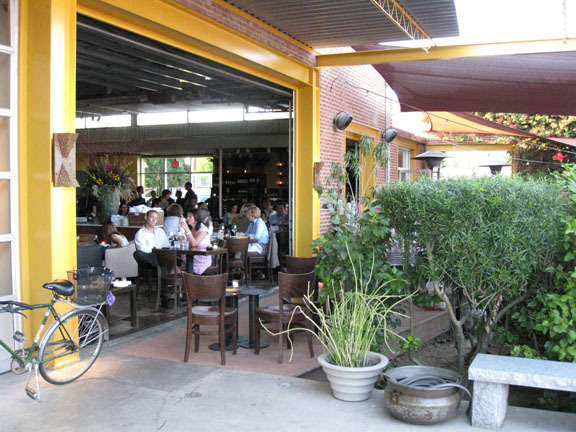 It has and indoor/outdoor feel, with the real garage doors from the USPS opening onto a patio that at night is wonderfully candlelit. 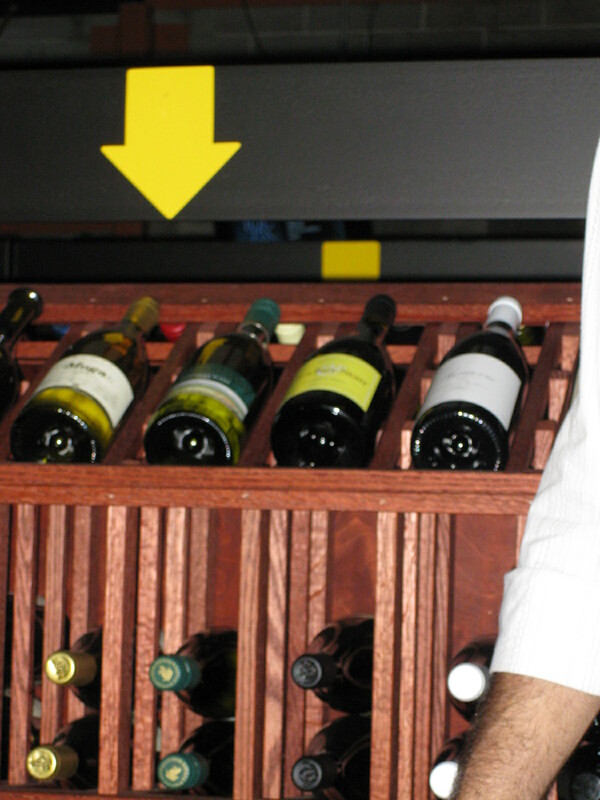 You can buy wine by the bottle, which is very fairly priced, I might add, and the servers really are knowledgeable with the robust wine list. But mostly, they know how to pair with the ever-famous bruschettas. If there was any way I could pass you a piece of the bruschetta through the blog, I would. We are talking about absolute deliciousness. 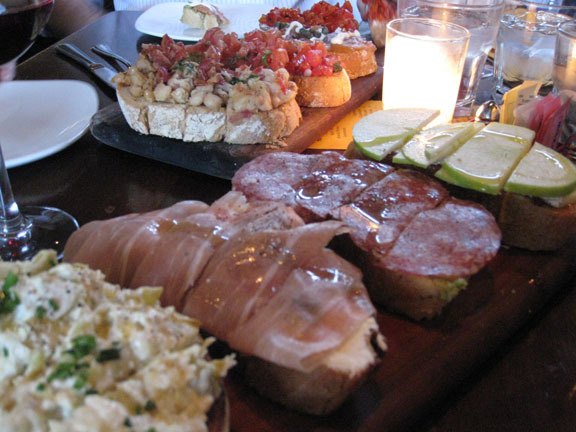 For $12, you choose four bruschetta types, which each are cut into four pieces. There are massive heapings of meat, cheese and veggies on french bread, drizzled with special spices, honey, oil – whatever accommodates each pairing, and it is truly magical. Perfect for a group or would serve as dinner for one or two people. I order my own tray, if you must know. I really can’t explain how wonderful the bruschetta is, so you’ve gotta go try it. 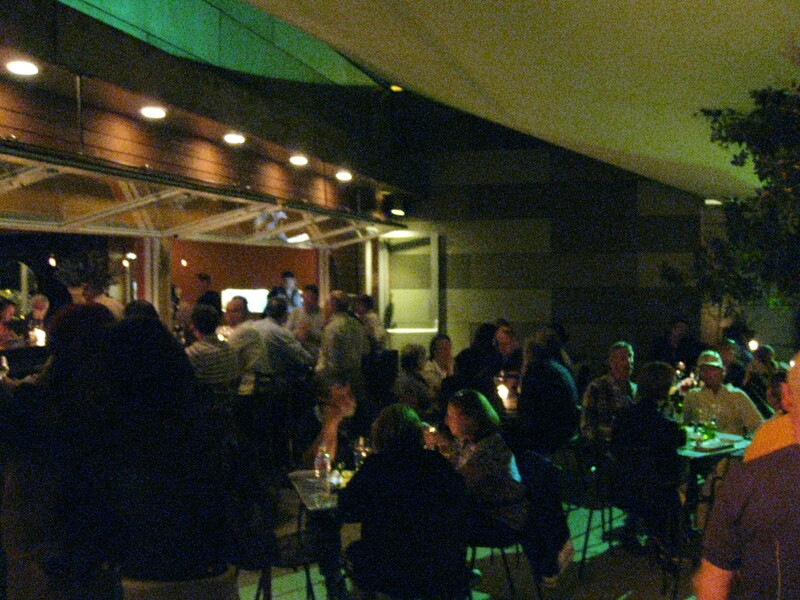 They’re open late, it’s always a good crowd, and it’s worth the valet parking. Even though I liked them first, you are welcome to love them just as much. 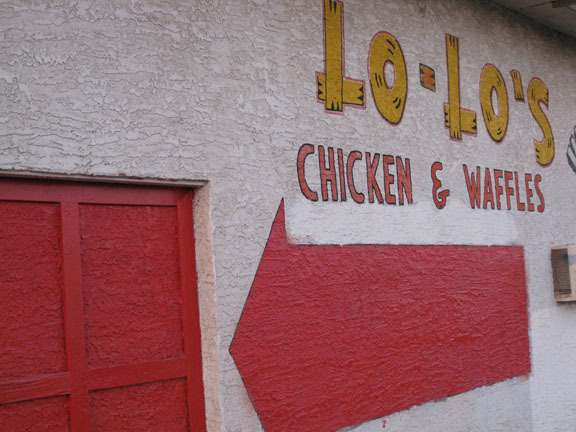 Just one mile south of Chase Field and U.S. Airways Arena downtown, there lives a place called Lo-Lo’s. 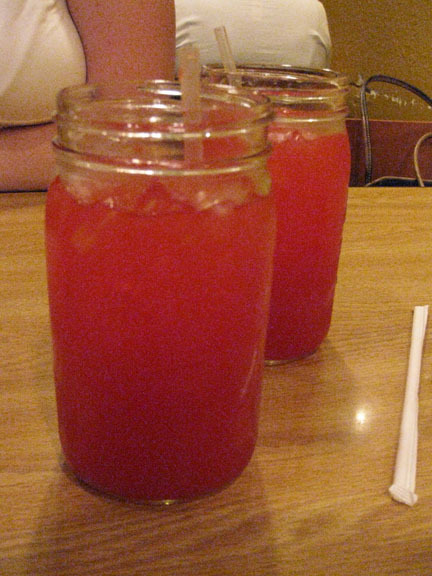 I had never heard of Lo-Lo’s, until at an All-Star event, a gentleman from Los Angeles was requesting the shuttle driver to take us to Roscoe’s. 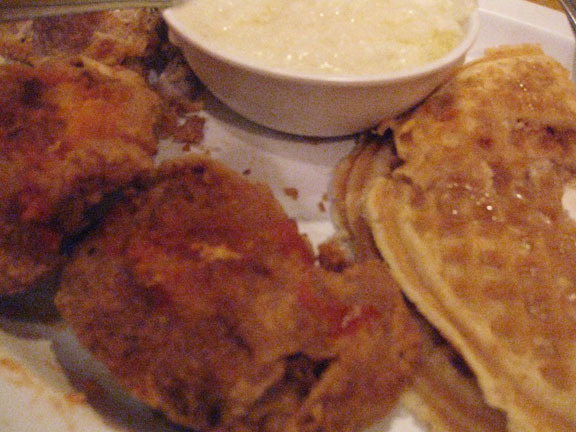 Another passenger interjected, “Forget Roscoe’s – Just take us to Lo-Lo’s.” I had to ask my seat neighbor what Lo-Lo’s is, and I was informed that it is THE place to go for chicken and waffles (in my world, these items do not automatically go together, so I learned a little). In about six conversations with different people since then, Lo-Lo’s was mentioned, so how could I not then inform you, Hot Sheet readers? 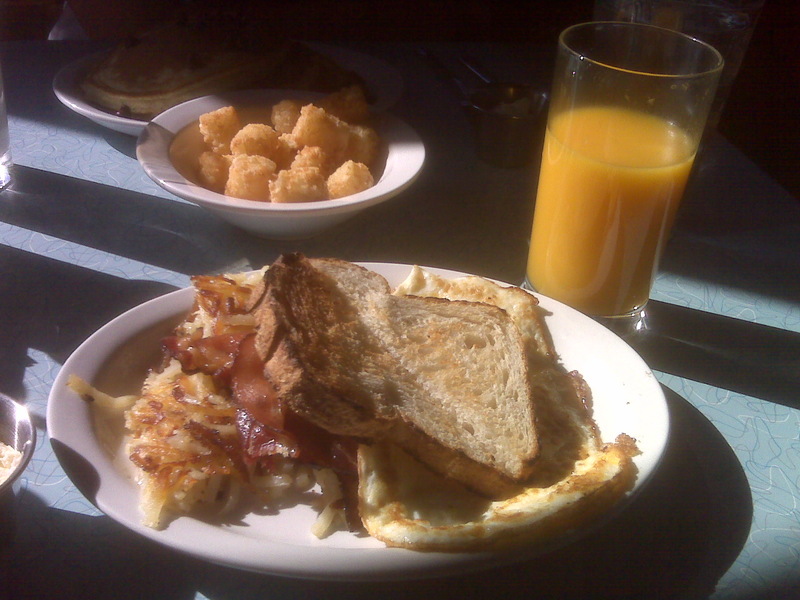 I have to admit that I was a little – errr… – nervous – about this breakfast/dinner combo. Poor Lunch! What happened to lunch?! (Dear Lunch, Don’t worry. I still love you. Love, me) But I was…. I drove in, saw the painted wall on Central Ave., and parked in the nearby neighborhood. I strolled in to what looked like a party I was late to. This older historic home is converted, and you walk into where I imagine the front sitting room used to be, and wound up dining in another room to the side. Make no mistake – this is not a cutesy, Victorian home or anything, but it does have a comfy feel. I perused the rest of the menu, which mostly was some combination of chicken and waffles (no big shock), maybe with egg or without. 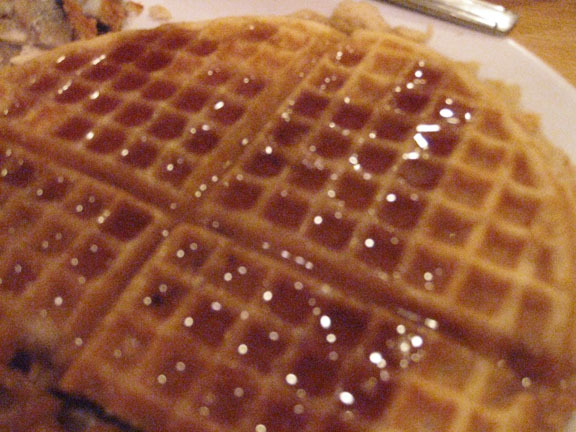 But for YOU I ordered the KK #1 – two waffles, three pieces of fried chicken, two eggs with cheese and onion, and grits. This is the standard. I must note that while I really don’t prefer onion, I didn’t get the feeling that they welcomed menu edits. So, I got my order, and while I liked the fried chicken, the waffles stole the show. Cinnamon, brown butter, brown sugar, just enough fluffiness. They were superb in every sense. It was all good together, too – the savory, creamy, crunchy and sweet flavors and textures made every bite a new combination. It’s all pretty heavy in butter, though, so bring your Tums. Definitely worth it. If you find yourself downtown and get a hankerin’ for some good ol’ Southern grub, this is your place. And I know you’re thinking, “Thank you for devouring this nutritious goodness for the blog!” To which I say – you are welcome.